Caroline Dodds currently teaches second grade at the Gesu School in Philadelphia. Previously, Caroline was the varsity assistant at The Episcopal Academy. 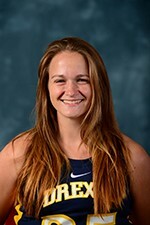 She is in her sixth year coaching with Philly Blast!Caroline graduated from Drexel University where she played defense for the Dragons. She finished a five year program majoring in secondary education for English and is earning a Masters in International Education. High School: Attended Great Valley High School and graduated in 2011… 2011 State Semi-Finalist… Name to the Daily Local First Team All-Area and Second Team All-League in 2011… Selected to the 2010 Philly Under Armour Team.